Singapore Prime Minister Lee Hsien Loong’s younger brother Lee Hsien Yang (left) donated money to blogger Leong Sze Hian (right), who is facing a suit by Hsien Loong over an article on the 1MDB. SINGAPORE: Lee Hsien Yang, the younger brother of Singapore Prime Minister Lee Hsien Loong, has confirmed he has donated money to blogger Leong Sze Hian, who is facing a defamation suit filed by the Prime Minister over an article on the 1Malaysia Development Bhd (1MDB) scandal. Responding to Today’s queries on Thursday, Dec 27, the younger Lee said that he gave Leong a “meaningful sum”. His son, Li Shengwu, is facing legal action from the Attorney-General’s Chambers, for contempt of court over a private Facebook post he made on July 15 last year. In the post that Li claimed was shared only with friends, he wrote that the Singapore government was "litigious" and has a "pliant court system". The comments accompanied a Wall Street Journal article he was sharing on the public dispute that his father and his aunt Lee Wei Ling had with PM Lee over the Oxley Road family house that belonged to the late founding Prime Minister Lee Kuan Yew, who was Li's grandfather. Leong launched a crowdfunding campaign earlier this week to raise funds for his legal fees, telling sociopolitical website The Online Citizen that he hopes to have 10,000 people contributing S$1 each. On Wednesday, Dec 26, he filed his defence and counterclaim against the Prime Minister, arguing that the defamation suit is an “abuse of the process of the court”. A pre-trial conference for the case is expected to take place on Jan 7. 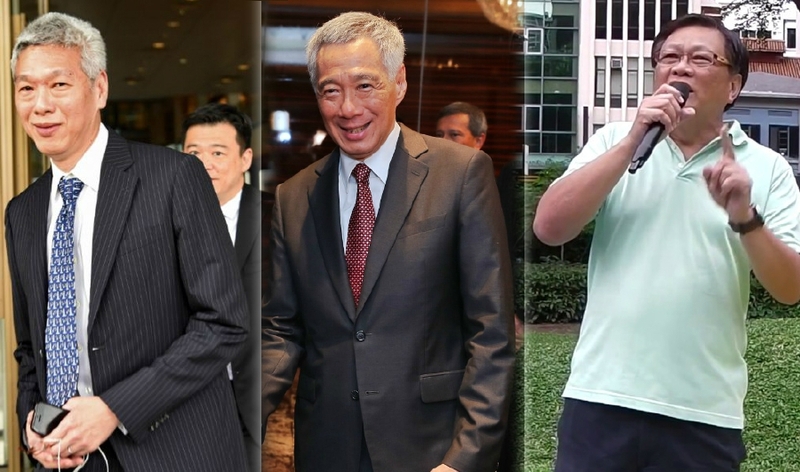 Leong is represented by lawyer and opposition party leader Lim Tean of Carson Law Chambers, while PM Lee is represented by lawyers from Drew and Napier. PM Lee had filed the libel suit on Nov 12, after Leong shared an article alleging that PM Lee had helped Malaysia’s former premier Datuk Seri Najib Razak to launder money from the country’s state fund 1MDB. In a statement of claim, PM Lee’s lawyers noted that Leong’s public post and the article "contain allegations that are highly defamatory of our client". In his defence, Leong said that the post was up on his Facebook page for less than three days, as he had removed it after receiving a takedown notice from the Infocomm and Media Development Authority. In his counterclaim, he argued that the libel suit is “not a real and substantial tort” as the false allegations against PM Lee were already in the public domain, and his Facebook post on the article had not gained much traction.